Compass Airlines has come a long way since it was founded eight years ago as a byproduct of restructuring at Northwest Airlines. Less than a decade later, Compass is 1,600 employees strong and is on track to serve 4.3 million passengers in 2015. Its route map stretches from coast to coast, as far north as Alaska, and as far south as Mexico. 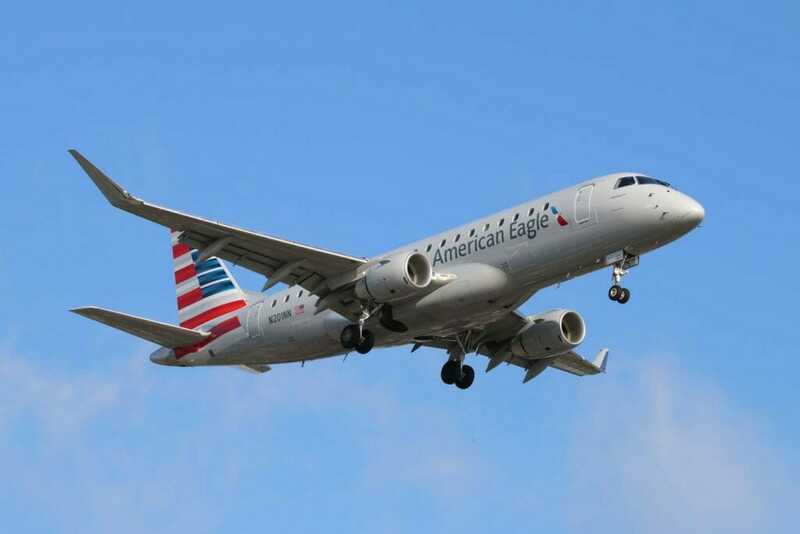 Compass operated solely as Northwest Airlink/Delta Connection until 2015, when it was selected by American Airlines to operate 20 new Embraer 175s under the American Eagle regional service brand. 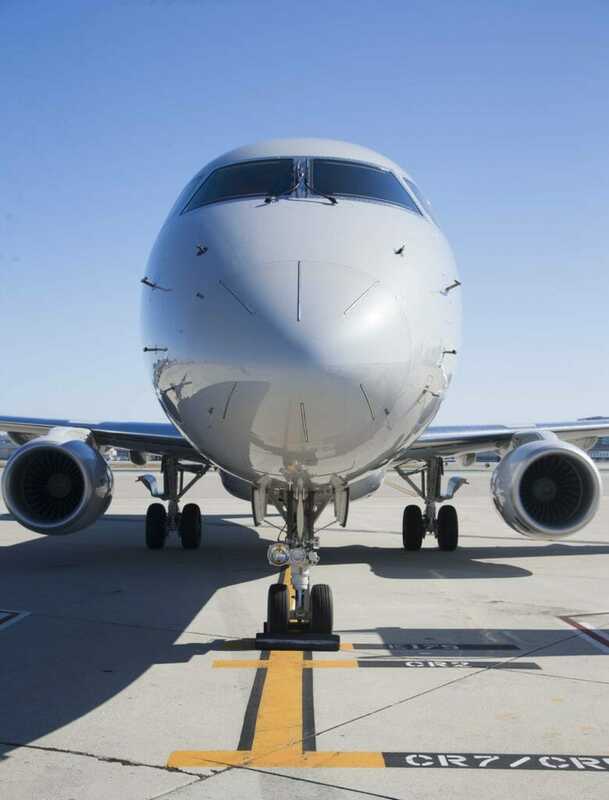 This deal, which gave Compass its second mainline partner, increased the airline’s fleet size by 47% in less than a year and is projected to result in a 36% increase in passenger traffic between 2015 and 2016. This commitment to pilot satisfaction is clearly paying dividends, as 45% of pilots hired in 2015 left other regional airlines to come to Compass. These new hire pilots, who cite years spent on reserve and long upgrade times as contributing factors behind leaving their previous employers, are also drawn to the stellar reputation of the Compass pilot group and the airline’s commitment to pilot morale. When pilots from other regionals arrive at Compass, they find that long stints on reserve and long upgrade times are a thing of the past. Compass pilots spend, on average, less than two months on reserve, and typically upgrade in 12-18 months, assuming Captain FAR requirements are met. Compass pilots also enjoy industry leading work and reserve rules, including a long call reserve option with a 24-hour call out. Paper manuals and charts are also a thing of the past—the flight deck at Compass is completely paperless, with each pilot utilizing the most recent version of the iPad Air. 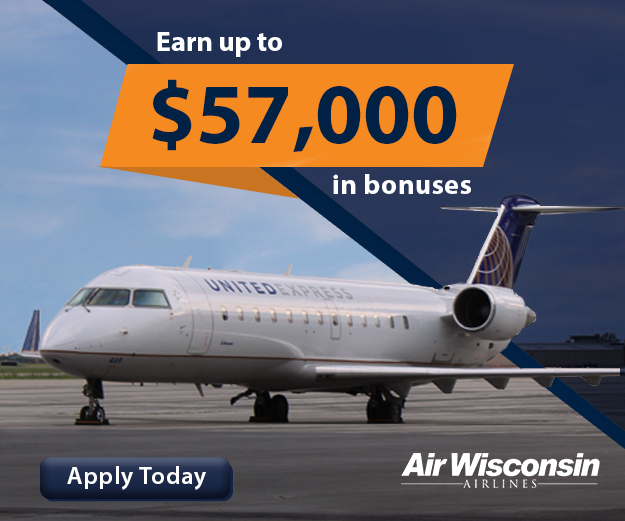 Additionally, Compass first year pay is one of the highest in the regional airline industry, at $35.81 per flight hour, and the company will soon roll out a referral program that will give employees the opportunity to earn $1,500 for each pilot candidate they recommend that is hired and completes training. 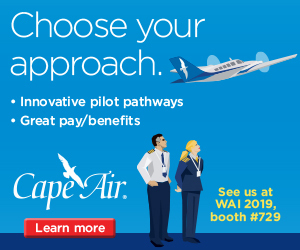 The company also offers commuting pilots four hotel stays per month, provides the ATP-CTP course for qualified applicants, and is one of only a handful regional airlines to participate in the ATP Flight School Tuition Reimbursement program. Compass is currently hiring up to 40 pilots per month and upgrades are taking place at a rate of 10-20 per month. Flying for Compass is a smart career move for pilots who want to move on to the majors. Compass pilots are in high demand by mainline carriers, as 100% of pilots who left the company voluntarily in 2015 left for pilot positions with a major airline. Compass pilots represent some of the finest talent in aviation, and each one of them is committed to our mission of providing safe, reliable and on-time service. They love what they do, and that passion shines throughout our operation each day. To learn more about how you can join our outstanding team of aviation professionals, please visit www.compassairline.com/careers or submit your application today via www.airlineapps.com. Craig: How do you select applicants to be brought in for an interview? Jeremy: Applications are received through Airline Apps and screened against our hiring requirements. We look at applicants’ experience, education and training record. C: What can an applicant do to increase their chances of being called for an interview? J: Compete the application fully, including the addendum, and include letters of recommendation. C: How critical is it to attend a job fair to get an interview? J: While not critical, job fairs do provide a valuable opportunity to review your resume with recruiters and pilots. C: What is the best way to prepare for an interview with your company? J: We will send a study guide with the interview confirmation. Be prepared to discuss your training history and work experience thoroughly. C: Do you recommend that applicants get to your headquarters city the day before and get a hotel room for the night? J: We currently arrange travel and hotel accommodations for the day prior to the interview. C: Can you walk me through a typical day of interviews? J: The day will include a document and logbook review, a company presentation, a job knowledge test and an interview with a recruiter and a line pilot. C: What kind of questions can an applicant expect to be asked? 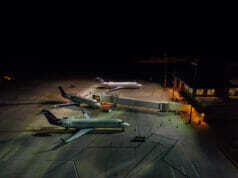 J: TMAAT and scenario questions to determine airmanship and aviation knowledge. We also want to make sure that applicants will fit will within our corporate culture. C: If the TMAAT question being asked does not apply to that applicant can that question be skipped? C: What are some of the biggest mistakes that applicants make during the interview process? J: Lack of full and complete disclosure, or inability to speak to their work and training history. C: Is there a written or computer test? C: What can you recommend applicants study for that test? At what point is this test taken? J: We send a study guide. The test is taken early in the day. C: Do you tell applicants they are hired in person that day? J: It could be as early as the same day. C: How long do applicants have to wait to know if they are hired? C: How soon can an applicant expect a class date after being hired? J: Applicants typically start class 2-3 weeks after being hired. C: How many pilots does your airline expect to hire this year? J: We’ve hired 335 YTD in 2015, and are hiring up to 40 a month moving into 2016. C: Can you explain the ATP-CQP class that your company offers? J: We currently provide the ATP CTP course through one of our preferred vendors. We currently cover the cost of the course, the travel to our vendor and the hotel during the course. C: Do you have a hiring bonus? Is there any specific criterion to qualify for the bonus? J: We do not offer a signing bonus. 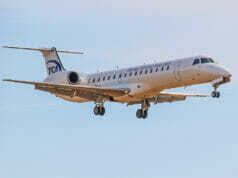 However, our first year pay is one of the highest in the regional airline industry at $35.81 per flight hour. Headquartered in Minneapolis, Compass Airlines is a leading regional airline operating on behalf of American Airlines (as American Eagle) and Delta Air Lines (as Delta Connection). 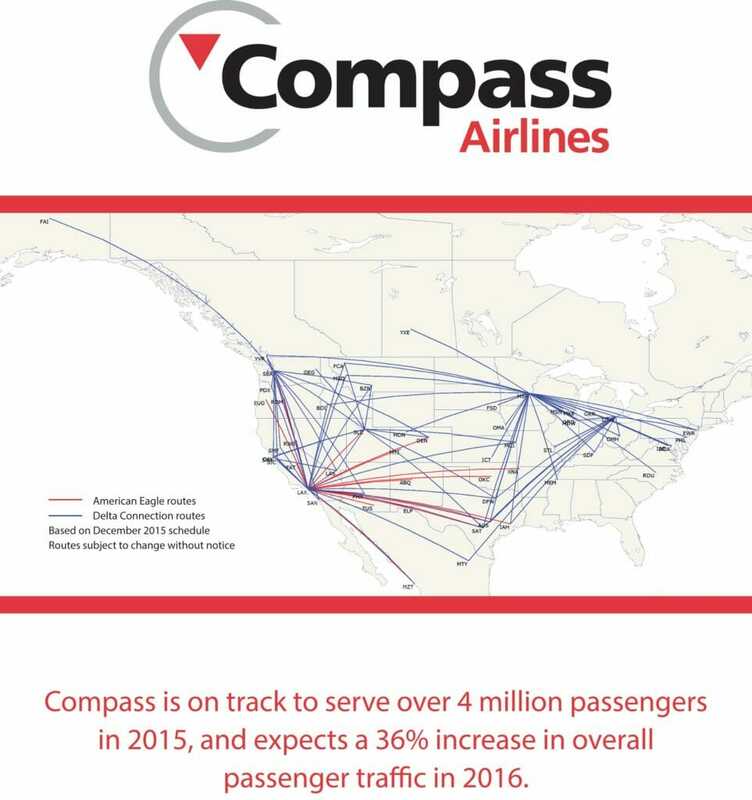 Serving ov​er 4 million customers annually, Compass averages over 180 departures per day to over 50 destinations. When you fly with C​ompass, you're in good hands. Our employees represent some of the finest talent in aviation, and each one of them is committed to our mission of providing safe, reliable and on-time service. They love what they do, and that passion shines throughout our operation each day. Customer service is important to us, and we do everything we can to ensure a superb travel experience for our passengers. 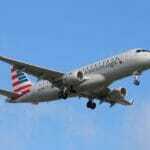 Republic Airways Launches LIFT Aviation Training Academy. Explorers Wanted!